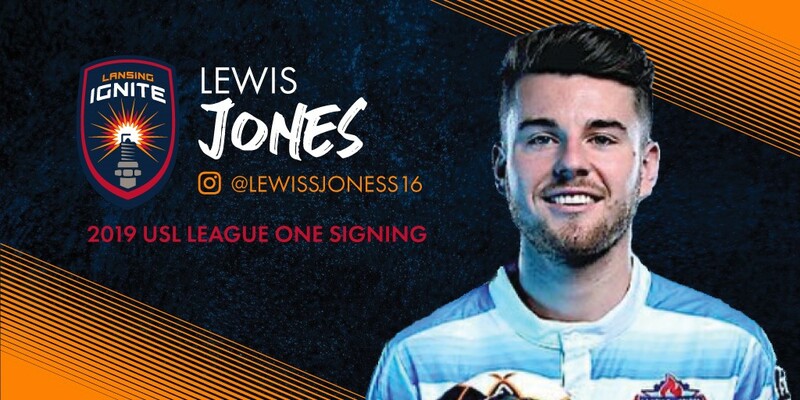 LANSING, Mich. – Lansing Ignite FC has revealed British Virgin Islands international and former Lansing United talent Lewis Jones as its latest signing, pending league and federation approval, ahead of the 2019 USL League One season. A standout performer at Andrew College in Cuthbert, Georgia, Lewis reached new heights after joining Spring Arbor University in 2016. In two seasons, he recorded 17 goals and 17 assists in 44 appearances, helping the team win back-to-back Crossroads League regular season titles and advance to the second round of the NAIA Men's Soccer National Championship two straight seasons. The 5-foot-10 talent has also appeared on the international stage for the British Virgin Islands, making two appearances for The Nature Boyz during qualifiers for the 2016 Caribbean Cup. Jones becomes the 15th player added to LIFC’s roster ahead of the 2019 season, joining Xavier Gomez, Rafa Mentzingen, Christian Silva, Kyle Carr, Nathan Lewis, Steeve Saint-Duc, Kyle Ihn, Rhys Williams, Kevin Coiffic, Omar Castro, Brandon Fricke, Pato Botello Faz, Grant Stoneman and Nick Moon. LIFC begins its USL League One campaign against the Richmond Kickers in Richmond, Virginia, on March 30 and against Greenville Triumph SC in Greenville, South Carolina, on April 6. The team will then return home to prepare for its week-long, home-opening celebration. LIFC will hold a celebration in downtown Lansing ahead of the team’s first League One match at Cooley Law School Stadium against the Kickers on April 13, and the celebration of soccer in the Michigan capital will continue three days later when LIFC faces off against the Michigan State Spartans in the Capital Cup. For more information on Ignite FC, follow the team on Twitter, Facebook and Instagram.